Requirements for public and semi-public swimming pools and spas All public and semi-public swimming pools and spas operating within the five counties of Custer Health must comply with these requirements. 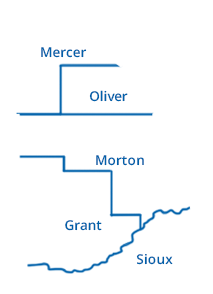 Custer Health also regulates pools and spas in Emmons and Kidder Counties. Float Systems (i.e. sensory deprivation tanks, float tanks, isolation tanks, or float pods) are regulated and licensed by Custer Health as a special use/therapy pool. Please view Custer Health's Floatation System Variance as a supplement to Custer Health's pool code (above) if you plan on installing and operating a float tank in Custer Health's jurisdiction.